Keeping costs down for affordable housing. Producing over 50% of their domestic hot water year round. Increase outdoor pool by 5-8 degrees while greatly reducing heating costs. Pre-heat existing system will help stress and extend life of their boiler. Installed 1248 sq. ft. of solar collectors keeps their pool at 81 degrees, hot water flowing year round. 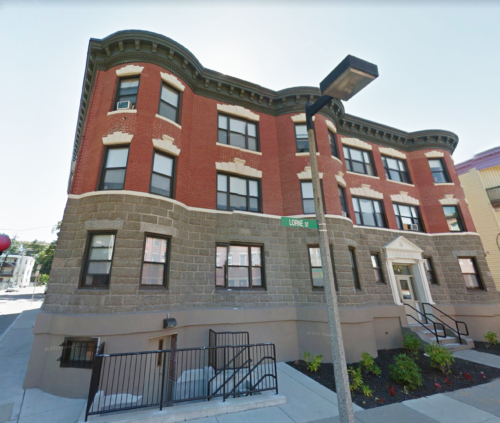 Renewable Energy Systems (RES) LLC designed and installed a Solar Hot Water system at the University of Massachusetts Lowell campus. The system provides hot water to the Inn and Conference Center. RES performed this work on a design-build basis. They completed all the required work in a professional and timely manner. RES continues to be thorough in their follow-up and verification of savings. I would not hesitate to use RES on future Constellation Energy projects or to recommend others utilize RES for a solar thermal project. 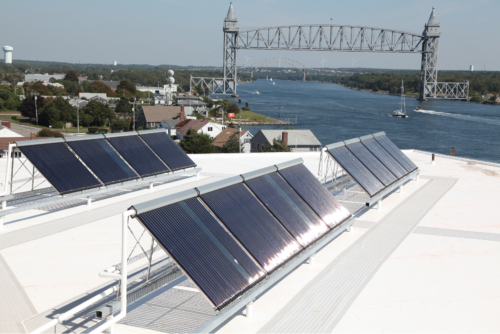 Commercial solar hot water is extremely efficient and affordable for business owners. 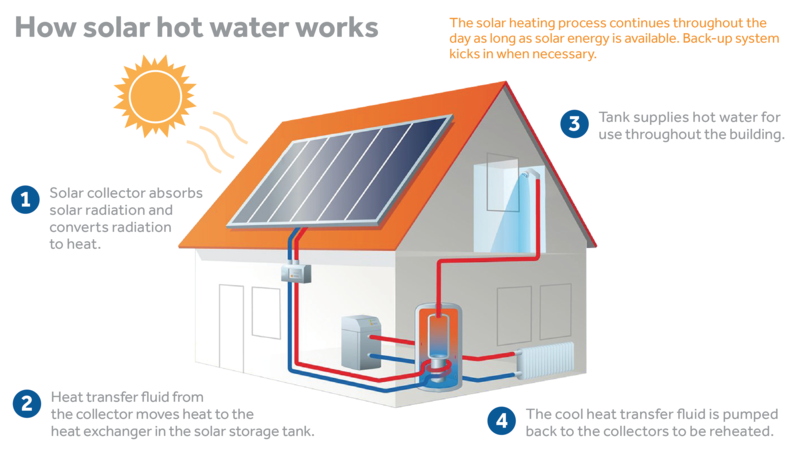 With rebates and incentives a solar hot water project cost can be reduced by 75-85%. Learn more about Rebates and Incentives.  – We evaluate your site’s physical and geographical characteristics to determine proper sizing for the system. RES performs a comprehensive analysis of the buildings hot water loads and use energy modeling to determine optimum storage and number of collectors. RES uses only the highest quality OG-100 and OG300 SRCC certified products applicable for Federal and State Tax Credits. – Our turnkey design / build solutions include engineering, permitting, and rebate submittals. – Rebates up to $100,000 for Commercial-Scale Solar Hot Water installations. – The payback for each system is optimized to achieve shortest term possible, generally 3-5 years. – There is local financing available through MassSave or contact us about other low interest options. – Once the system is installed we provide O+M manuals, web based monitoring and annual maintenance. Commercial solar pool heating is another option to utilize renewable energy on your property. 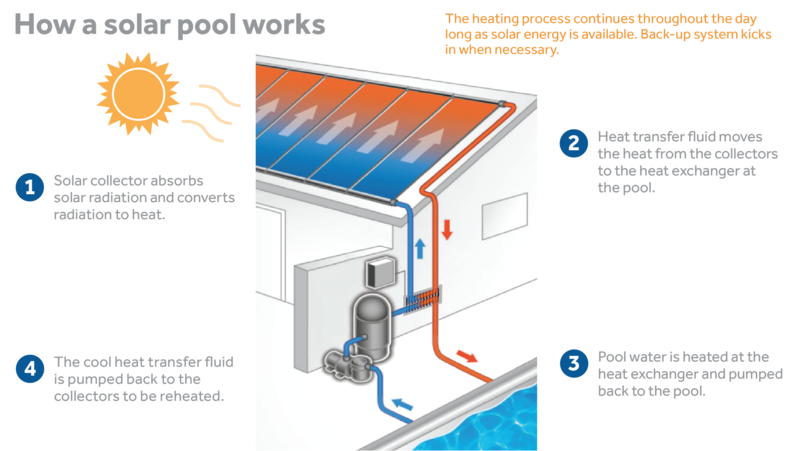 Solar pool heating is a simple and inexpensive way to keep commercial pools warm from May into September without the use of expensive gas or propane heaters. RES can complete a comprehensive site evaluation. 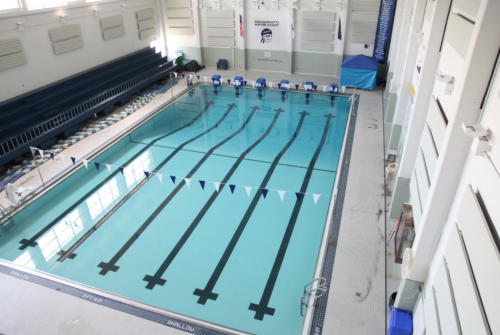 In most cases the systems can utilize the current pool pump, reducing cost and maintenance. Solar pool heating systems can either be roof or ground mounted.